Well, here I am a day late and dollar short. 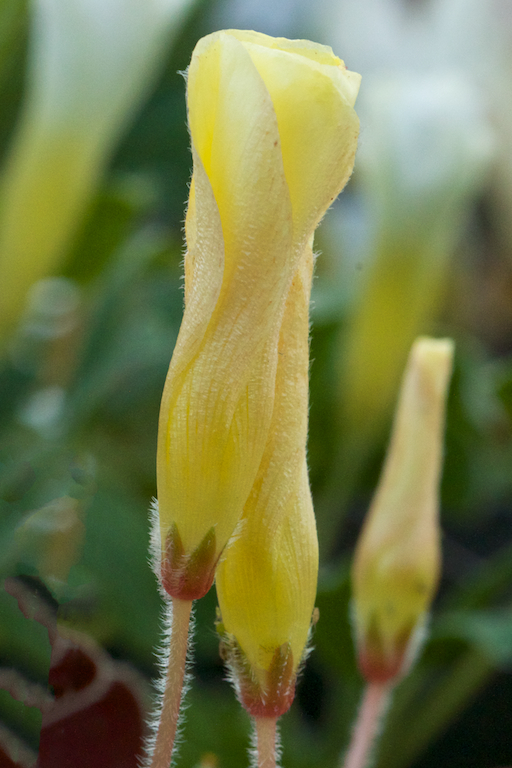 We’ve had a lot of winter cold going around here, both in our bodies and outside so I just totally blitzed out on Garden Blogger’s Bloom Day yesterday. 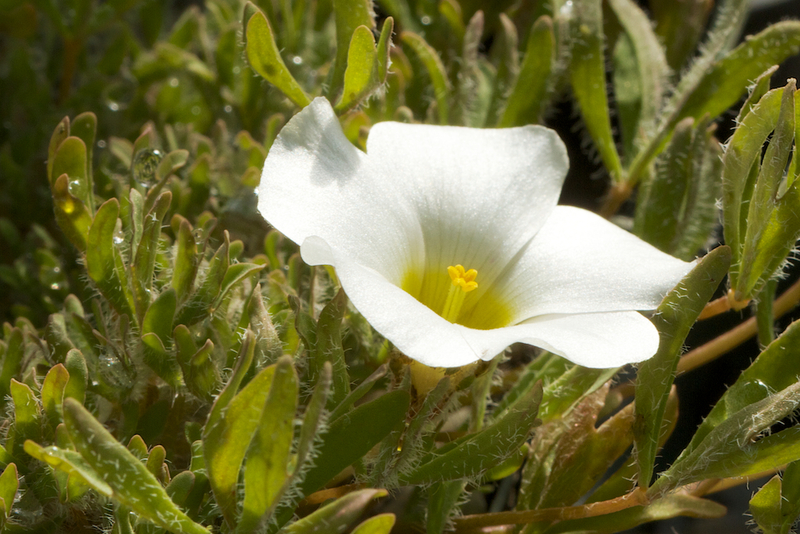 It’s compounded by the state of the outdoors which is very wintery and anything but flower-filled. 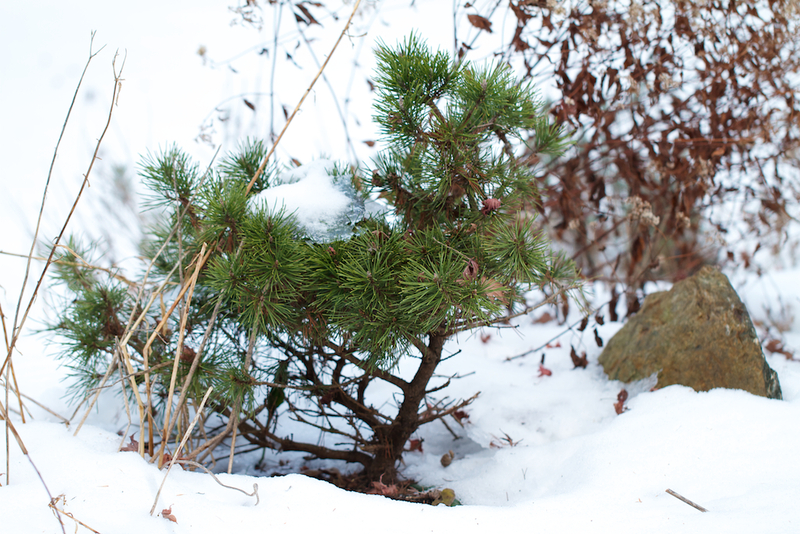 Many of our early bloomers are still buried in snow so I’ve no idea what they are doing for prepping for spring. 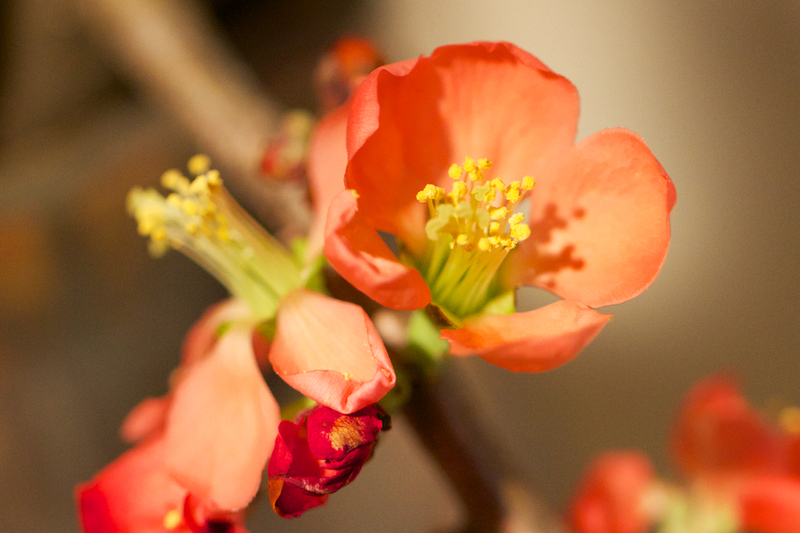 We did pick a Japanese Quince for forcing and it certainly was far enough along to blossom. But the general state of the outdoors has fewer flowers than I ever remember for this time of year. 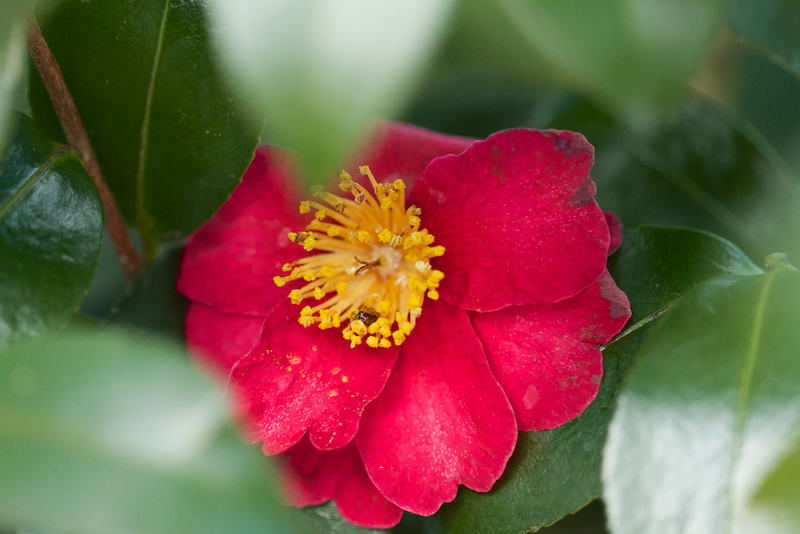 Even the reliable red fall camellia has a only a few scatter flowers well hidden on the inside of the bush at the moment. 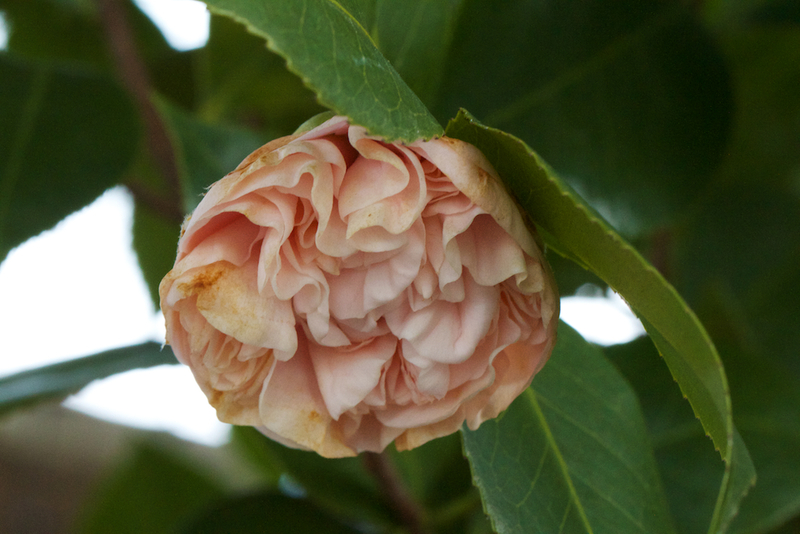 The Pink double-flowered Camellia japonica has tried to flower unsuccessfully. 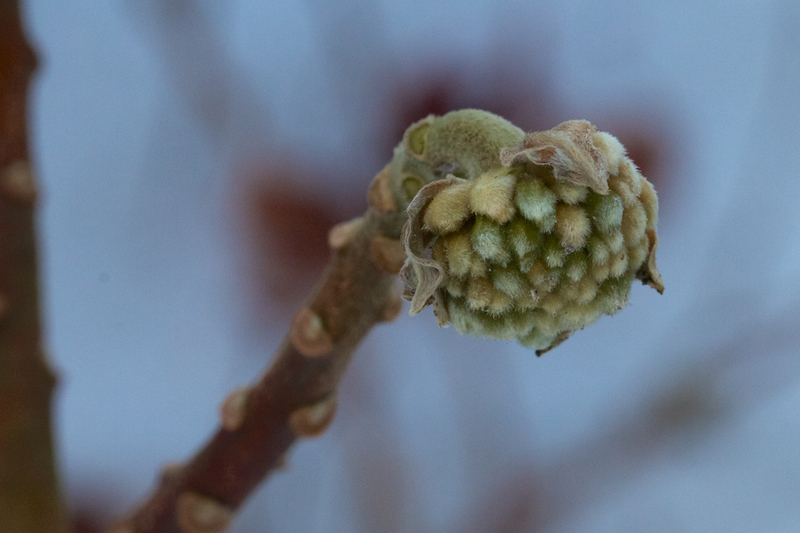 Things like the Witch Hazel and Edgeworthia seem to be a long way from flowering. 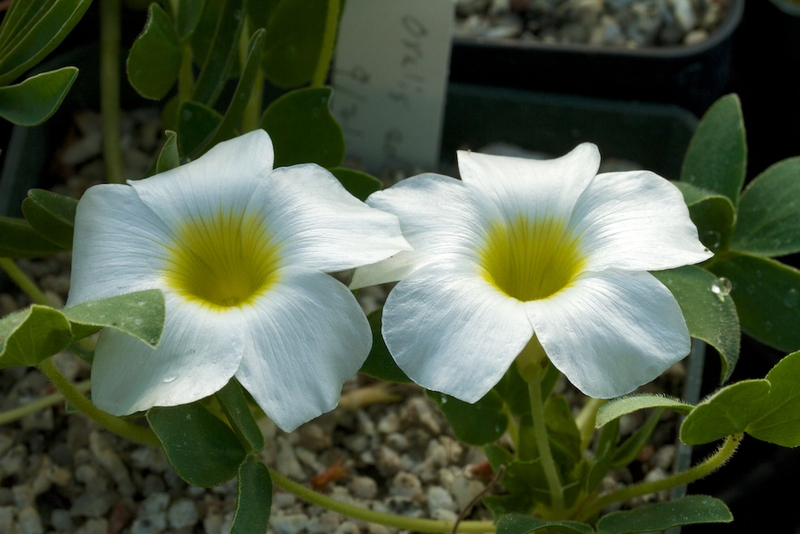 In the greenhouse the oxalis are still putting on a pretty show with a single Narcissus helping them out. 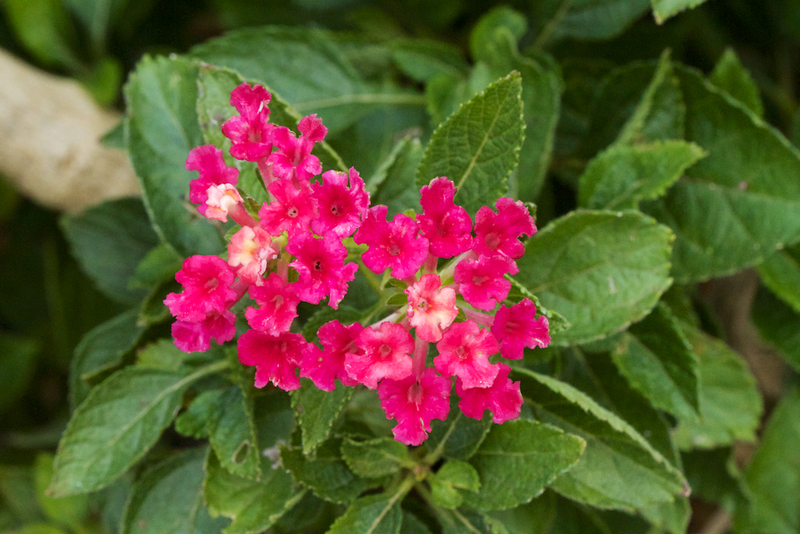 There is even a leftover lantana which contributing to the blooms in the greenhouse. We came back from a wonderful Thanksgiving in NY to find some more special flowers to celebrate the end of 2013 with. 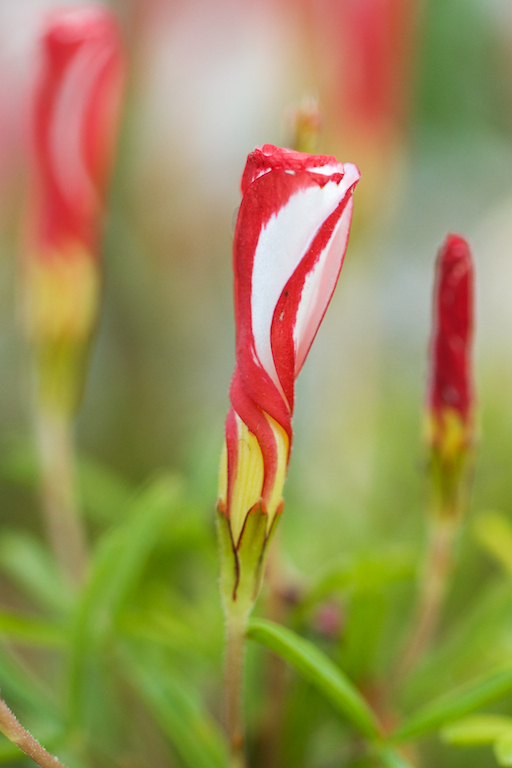 In particular, the oxalis remain delightful with each variety taking it’s turn on stage. 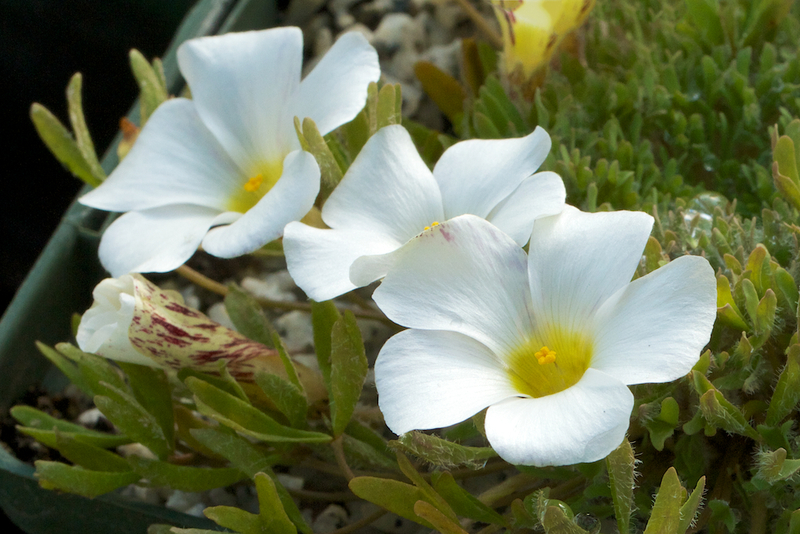 The oxalis densa is remarkably compact with very large flowers for the size of the very hairy stems. 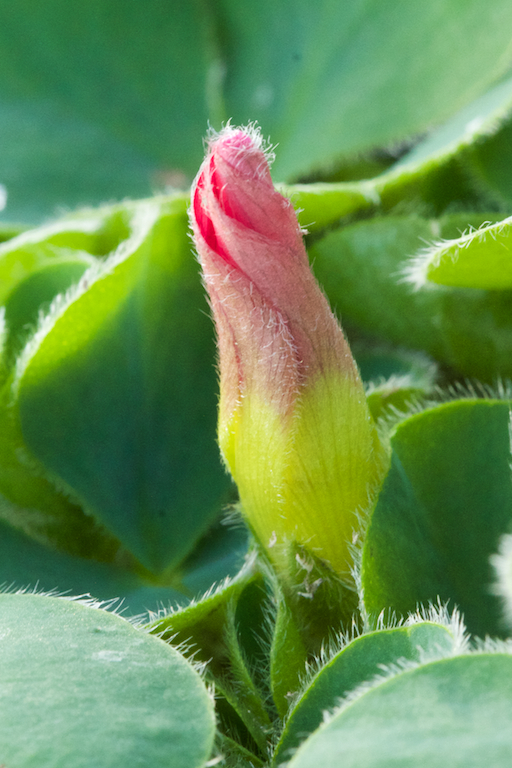 The back sides of the petals are streaked red so the when the bud is rolled up it’s a bit like an abstract painting. 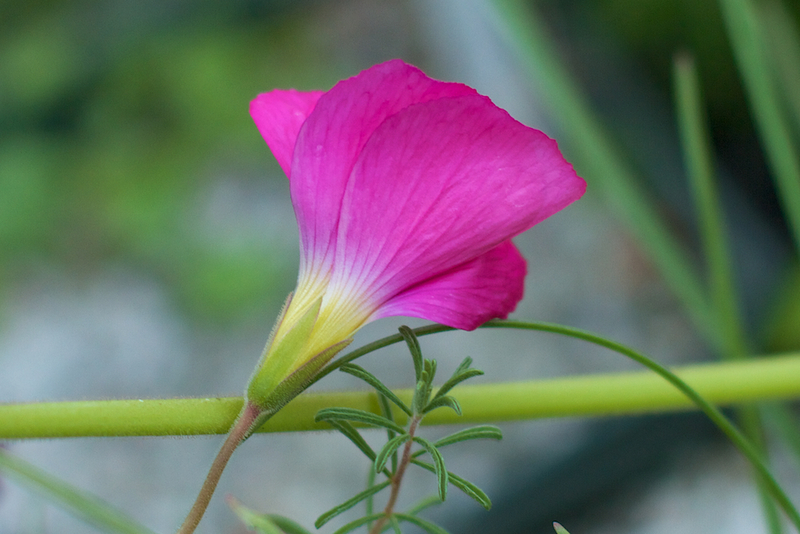 Next to it we have the oxalis adenodes which has a wonderful sheen to the petals in the late afternoon light. 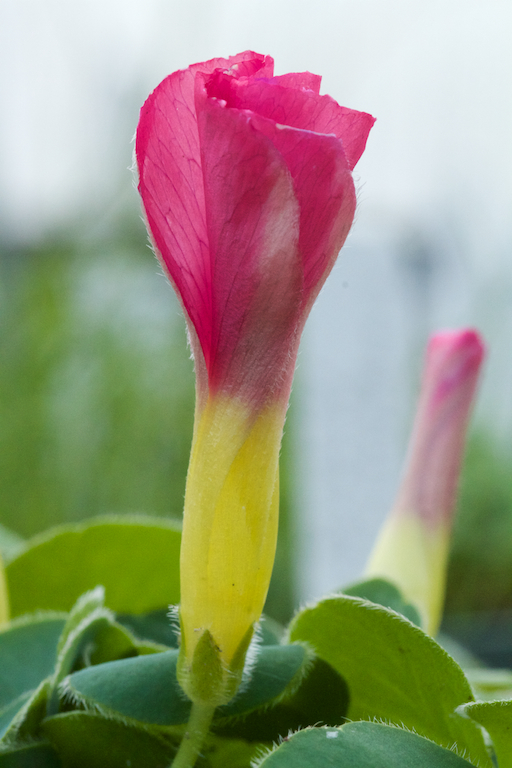 And I cannot shake a fascination with the oxalis purpurea ‘Skar’ which looks so well-formed and colorful in it’s tight little hairy bud. I had two surprises in the greenhouse when I got back from Thanksgiving. 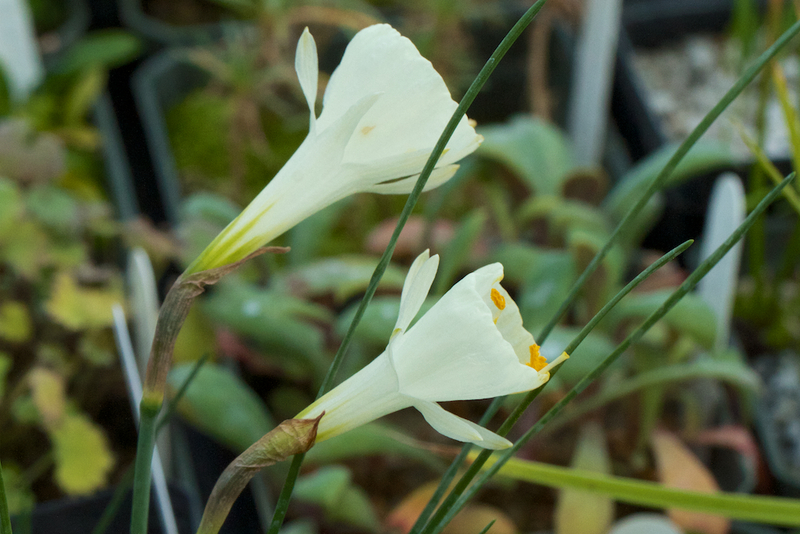 Both were from bulb distributions from the Pacific Bulb Society which has a wonderful online database and a very active mailing list. 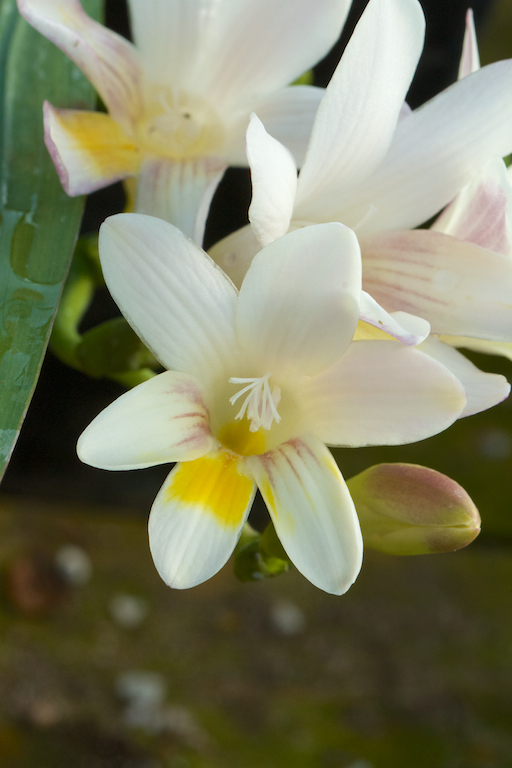 One was Freesia fucata, a cheery white african flower with yellow markings. 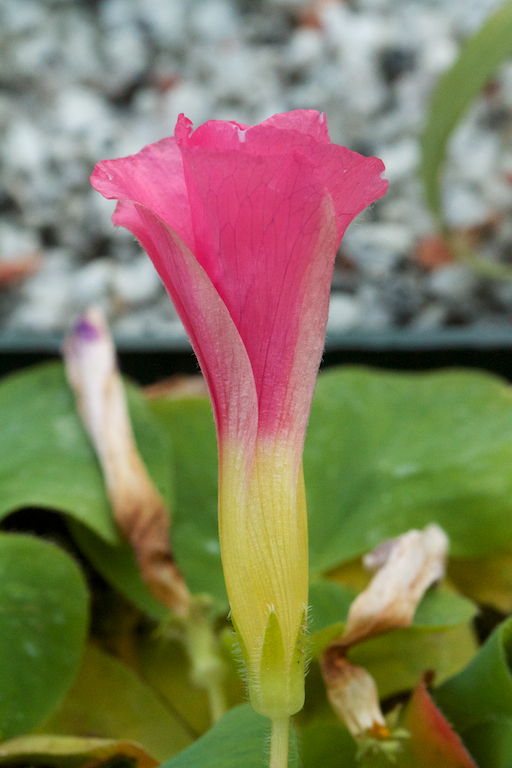 It’s a small plant overall which makes the flowers that much more remarkable. 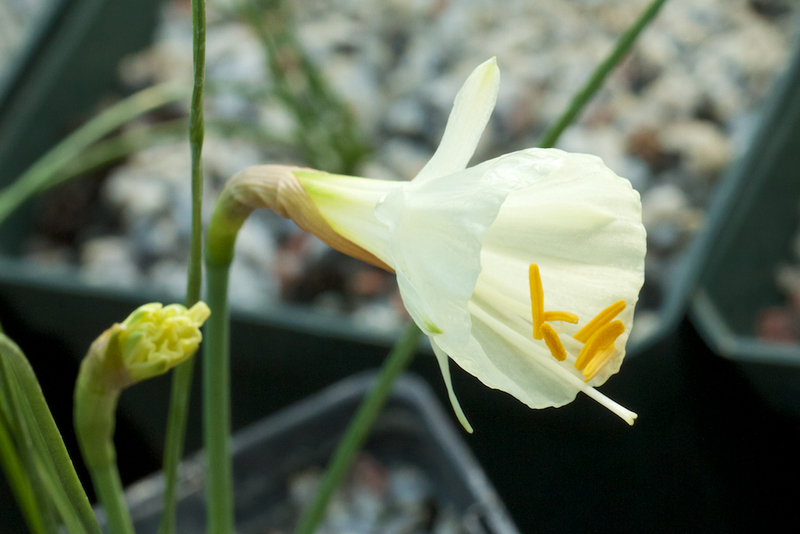 The second addition to the blooming category was a small Narcissus that would survive outside but would be lost amid all the other flowers of spring time. In the Greenhouse it gets a full portion of daily appreciation. At the same time the house had an explosion of Orchid to share with us. 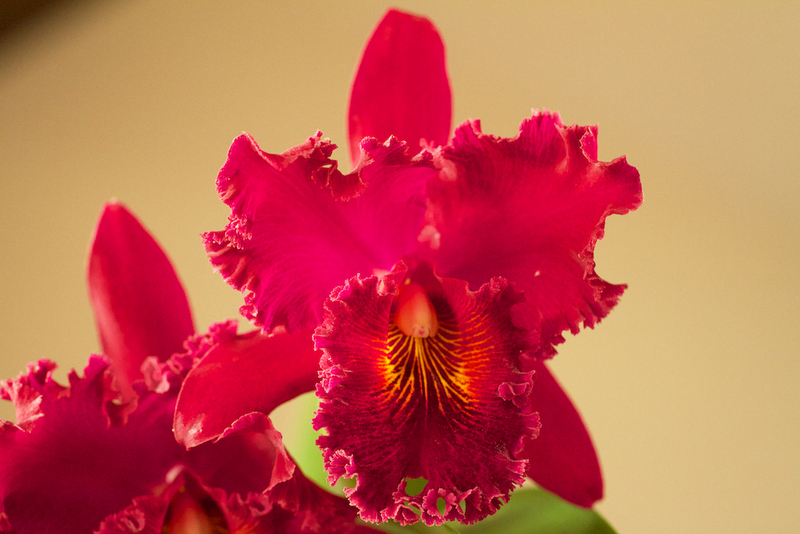 Our prettiest cattleya was fully in bloom and it’s scent every bit as good as the velvety texture of the flower. 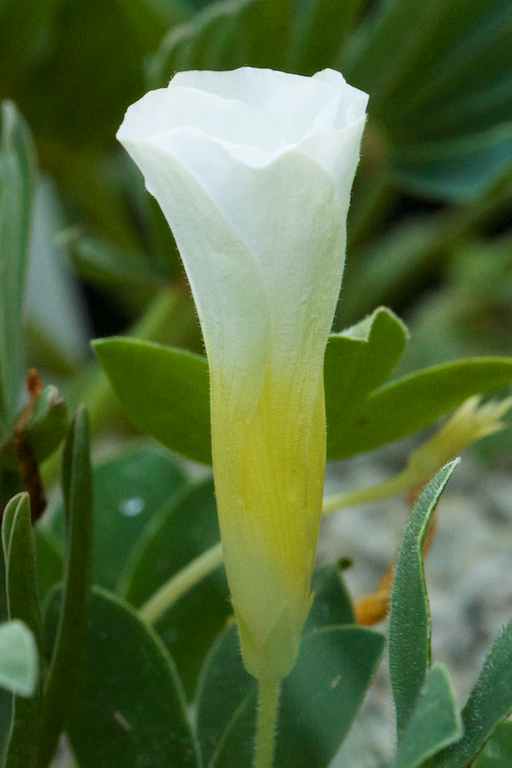 Meanwhile, the outside garden had it’s own surprise. 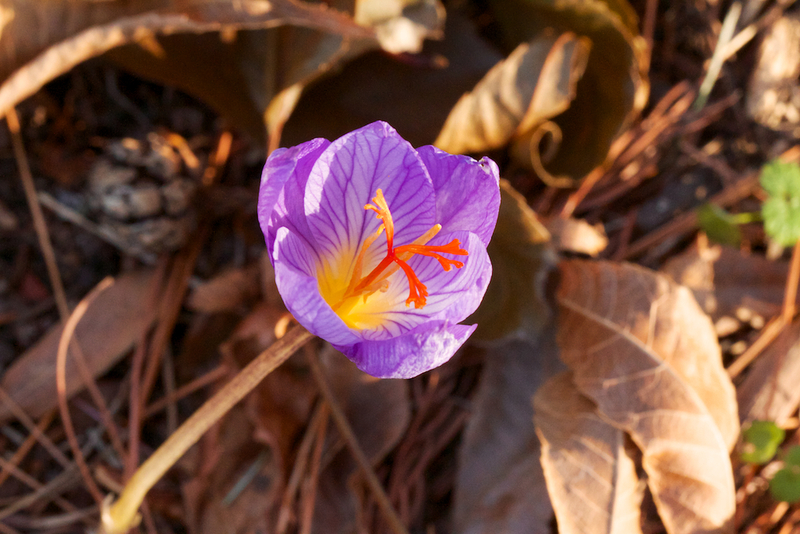 The crocus specious, which I had thought might not even join the bloom party this year, had popped fully open. It is truly a very pretty flower with the stamens having a signature bright orange that contrasts vividly with the purple flower. Of course that was the first week of December. Since then we’ve had two snows and the back yard looks like this. Autumn is a second spring where every leaf is a flower. Copyright © 2019 John Willis. All rights reserved.